I want to know if you can also sign your AFTRA paychecks over to production to go towards your initiation fee. I have heard of payment plans also. $300 down - and balance of $1000 in 3 months. Or $300 down - and 6 monthly payments of $165+. Hi, April! Great question. When I joined AFTRA, they gave me the option of paying all at once ($1300 plus 1/2 of yearly dues, which is around $60) or to pay in 2 installments. I chose the latter, so I paid $650 then and in 3 months they sent me a bill for the other $650 plus the dues (which equaled a little over $700.) I paid by credit card. I know that SAG and AEA have provisions where you can have your initiation fee taken out of the paycheck, but I could not find any information about that on the AFTRA website. I have read online and overheard actors say that they will take the initiation fee from your paycheck if you continue to do AFTRA work but do not officially join the union. But I could not find this listed anywhere as a viable option for paying the fee incrementally. I can't say it is helpful in this case, but it might be worth looking over for general information. I hope my response is useful- let me know if you have any other questions! I was just wondering where in the rules does it say you cant do non union in any other union? Also how are they able to enforce it? Thank you in advance!! In the comments section of that blog, I listed the sources for the information, which should answer your questions. But stand by for a new blog on the topic, which I'll post in a day or so. I received an AFTRA waiver for a day of BG work on The Good Wife. Does this mean I also have 30 days to work union and non union until becoming a must join? Also, because I received an AFTRA waiver, does that mean I am entitled to continuing working with AFTRA waivers on the show? To answer your 2nd question, in order to be entitled to work under an AFTRA contract for future episodes, you will need to join the union. Actors can join AFTRA at any time- to learn more, go to: http://aftra.com/HowToJoin.htm. Once you are a member, you can work under the AFTRA contract for all future episodes. Congrats to your daughter (and you) on getting invited to join SAG! Hi, I work as non-union background and I just recently got booked and worked for a day on an all union AFTRA job for a comedy/drama tv show. It looks like I´ll get paid union wage for this one. But I´m worried that this will make me AFTRA eligible and that I´ll have to join the union after 30 days or so. I could never afford the fee. I´m new to this so I really don´t know much about how all of this works, and I do hope that my fears are unfounded. Are they? Hi, there. With any AFTRA job, once you complete the job you have 30 days before you become a "must join." I believe this is the case for both background and principal roles. Now, "must join" does not mean that you're required to join the union right away. What it means is that the next time you want to do an AFTRA job, you are required to join the union at that time. But, you can opt not to join the union, and keep doing all of the non-union work you'd like. Just be aware that if you get upgraded again, or get cast in an AFTRA role outright, in order to complete that job you'd need to pony up the $1600 initiation fee. If you are new to acting, I think you are right to be wary of joining the union. You should do as much non-union work as possible to build your resume. Having your union card, in any union, bars you from doing non-union work in ANY jurisdiction. 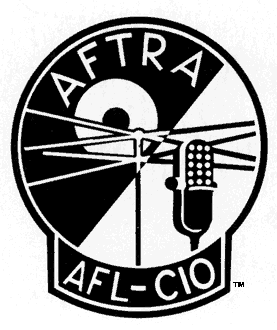 Meaning, if you join AFTRA, it means that you cannot do non-union work in theater and film as well as TV & commercials. So, I'd sty out of the unions until you feel like your resume is ready to compete with other professionals. I prefer working with union members while casting them, even for background roles. They are are easier to work with. Non-members are bad for my business and image. I attended some acting workshops and an intensive summer acting conservatory, shortly after I decided to be a full time actress. It's been a year now and I haven't landed many gigs. I know I need to have more work on my resume in order to have bigger roles. What kind of work are casting directors looking for in my resume in order to consider me and where can I search for them? 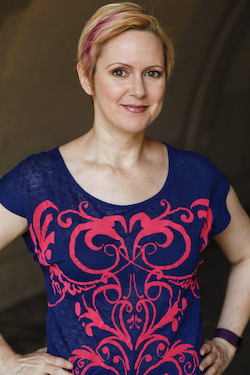 Thanks for your post -- the most important thing is to be auditioning at a level that is appropriate for where you are at in your career, and then do as many shows/projects you can at that level. Eventually, you'll start building a reputation for good work, and other actors and directors will start recommending you for projects. Casting directors look for good roles in recognizable theaters (or, good sized roles in on-camera projects which yield strong reel footage, if you're interested in film/TV.) They also look for strong training. But, ultimately, you want to do everything you can to get to know casting directors -- go to panel discussions, take classes, and submit/audition as much as humanly possible. If you need to know more, shoot me an email and we can set up a free coaching consultation. I'm happy to help in any way I can! Hello. I am getting an AFTRA waiver for background work in a couple of days and I am wondering if this allows me to submit for AFTRA BG work for the next 30 days without needing waivers(I am not going to join for now), or would I still need to get a seperate waiver for each AFTRA job within the next 30 days? If I join AFTRA, where does my work come from? Will they notify me of jobs I'm suitable for, or is there a job board I need to peruse? Do I get an agent assigned to me by AFTRA, or do I need to find one myself? Are they paid from my earnings or by the union (in case of the former)? I appreciate (in advance) your time and consideration in helping a poor newbie out! 1) There are no notifications by AFTRA about possible work. Auditions are found either through the actor's agent or through traditional casting websites (see my post on reputable sites here: http://theactorsenterprise.blogspot.com/2009/02/reputable-casting-and-audition-websites.html). 2) Agents are not assigned to actors when they join the union. Actors must submit their information (headshot/resume/reel) to prospective agencies to request an interview. Actors who want commercial agents can also gain the attention of agents by performing with improve troupes and shooting/promoting sketch videos showing their work. They can also create their own spec commercials as a way of showing what they can do. 3) Traditionally, agents are paid 10% of the actor's salary for each project. The agent does not get paid unless the actor books a job. Stay away from any agent who asks for any monies up front. I hope this is helpful. Feel free to call AFTRA and speak to the membership department if you have any deeper questions that I cannot answer here. Good luck! Hi! So I'm in a crazy situation! I became a "must join" and had no idea because I never recceived anything in the mail.. I booked another Aftra job yesterday after already being a "must join" and now the production is calling me and saying I have to join immediately so they don't get a fine.. This puts me in a terrible situation because I wasn't planing on joining since I am sag and if the merge happens I'd become an Aftra member without having to pay 1663.-. What happens if I don't pay Aftra to join and see if the merge happens? That's a very good question. The bottom line is, you can't be forced to join a union you don't want to join. If you choose not to join, the production can fire you from the production, or agree take on the fine that AFTRA will levy for hiring someone without verifying their union status. Neither of these bode well for your career prospects, as one will get you on the bad side of the producer, and the other will get you on the bad side of the union. I know that the merger vote is coming up soon for both AFTRA and SAG members, but I cannot imagine the actually merge of SAG-AFTRA will happen this year. I imagine that will take quite a bit of time. The question is: can you afford to wait until the merger is complete, which might be 1-2 years, before taking on any further AFTRA work? And how will you handle the professional fallout from being turned down from a job after booking simply because you didn't join the union? I completely understand the dilemma - waiting will save you a crap load of cash. So, you have to weigh what is more important to you right now - your bank account or your reputation. Both can be recovered, it's just a matter of what makes most sense to you. I am SAG eligible. I mostly do non-union commercials etc and have steered away from the union. I do have about 100 commercials, print work, TV extra work under my belt, so I think I have enough experience for my resume. My dilemma is that I am also a guest host on a very popular shopping channel and average going on air several times a week. In doing this, I have pretty much stopped doing commercials etc because I am afraid to book something then be unable to do it because of the short notice for my shopping channel work. So, question one: How would jointing AFTRA affect my working on the shopping channel? Question 2: If I join AFTRA now, will I automatically become SAG without paying additional money, if and when they merge? Thank you for any help. Hello! I have a question. I am NON-Union and booked an AFTRA BG job. They told me I would be waivered. After filming they had me fill out the same union voucher as everyone else. My question is...how will I know I have actually been waivered? Hello. Do you have any updates on the AFTRA-SAG merger? Is March 29th or March 30th the last day to join AFTRA, to get grandfathered into the new Sag-Aftra One Union? Or do you think Aftra will extend the deadline till April after the vote? Wow- lots of questions about the merger! As you now know, the merger was approved by voters in both unions, and the merger went into effect March 30, 2012. Eligibility is now similar to that of SAG's old eligibility - you must be offered a principal role in a SAG-AFTRA project; or have 3 SAG-AFTRA vouchers from eligible background work; or be a member of Actors Equity in good standing with at least 1 principal role within that union. The initiation fee is $3000. Payment plans are available. I will be writing a blog post about the basics of the merger. Keep your eyes peeled for that! If you worked an AFTRA job in an AFTRA (union) slot, you should have received a union voucher. It is possible that you worked in a non-union slot on an AFTRA set. You can always call AFTRA to see if you were put on file by the production company. If you were, you most likely are a "must join" now.